This guide will show you how to add your Instagram Account to your Gramto account. After creating your Gramto Account, the next step requires you to add your Instagram account for you to start posting and performing other tasks. 3. You might need to select a verification method, click on the Send via SMS or Send via Email button and a verification code will be sent to you. 4. 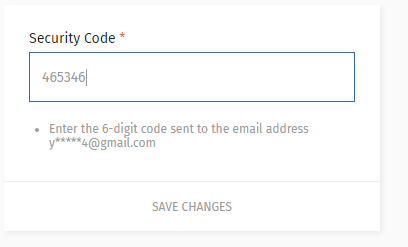 Enter the verification code in the box that comes up next and click on the Save Changes button. Your account should be added by now. This is an error from Instagram’s end. doesn’t allow to add account, please advise. Instagram updated its API without prior notice, this is the reason why you cannot add a new account (some accounts can still be added though). This issue has been rectified in Gramto version 2.0, due to be released December 26th.
. what am I doing? Please do confirm that the username was correctly spelt. You can try login into Instagram.com with same details to be sure. How do you add more then one account to your gramto? You need to upgrade to one of our multi-account plans. Kindly send your registered email to support@gramto.com.